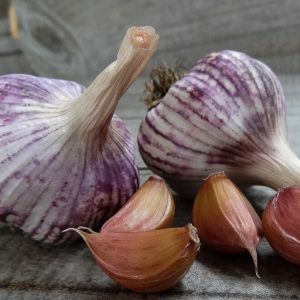 Incredibly unusual Glazed Purple Stripe with unique hot, earthy flavours. 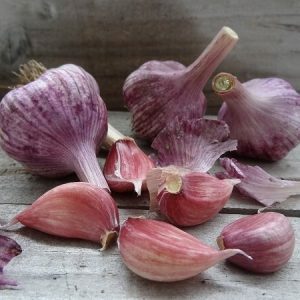 Strong healthy and vigorous plant with beautiful silvery skins with a touch of purple glazing. 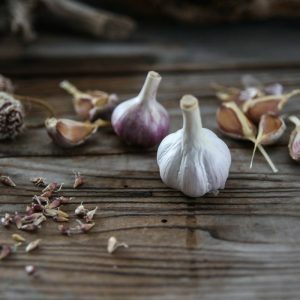 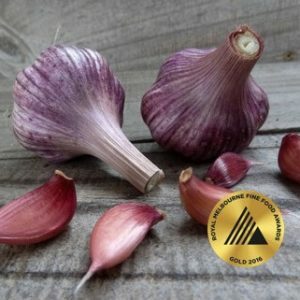 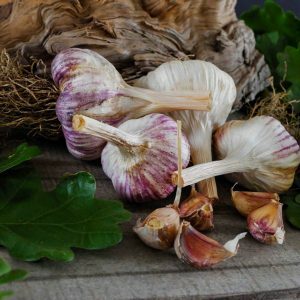 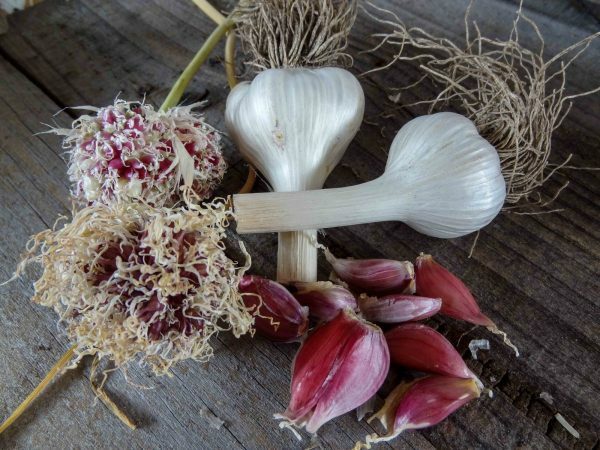 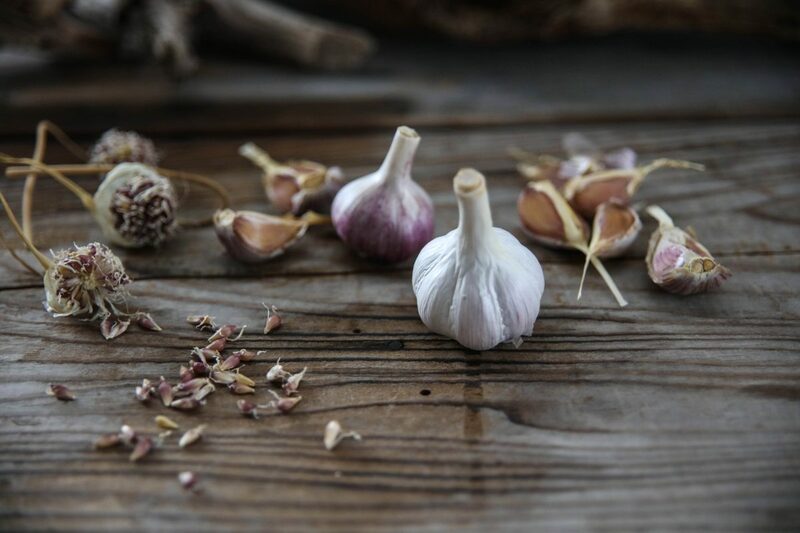 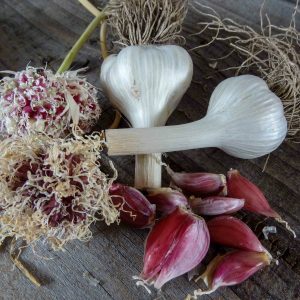 Predisposed to secondary shooting and creating strange wriggly growth within bulb skins – but well worth the try to get to those lovely large cloves.